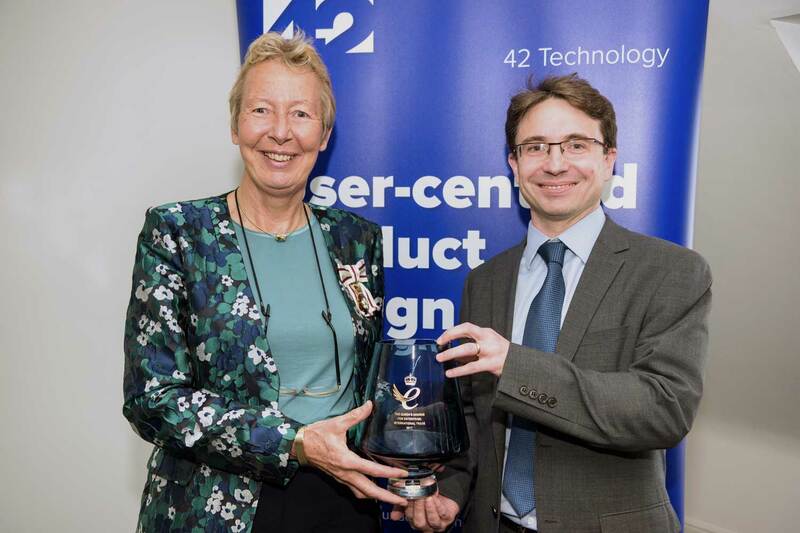 On the 12th July, 42 Technology was proud to host Julie Spence, the Lord Lieutenant of Cambridgeshire who visited the company’s head offices in St Ives along with her team to present us with the Queen’s Award for Export. The day before, Company Director Dr Jon Spratley, and Senior Consultant John Loveluck were privileged to attend a drinks reception at Buckingham Palace where they met with the Queen, Prince Philip, and chatted about our work, growth and success with Princess Anne. Winning the Queen’s award for export is something we are all proud of. Exporting is tough — it adds all kinds of new challenges — technically and commercially. Our international clients can choose expertise from anywhere in the world — so they quite rightly expect us to be world class. Our success in this area speaks volumes for the quality and dedication of our team.